the completion of cross-border mergers. These regimes are designed to provide a corporate structure that facilitates the reorganisation of business on a European scale, as well as pan-European provisions to facilitate cross-border mergers between various types of limited liability company governed by the laws of different member states. Both regimes may be helpful to a group looking to redomicile entities to other parts of Europe in the context of Brexit, although both have been the subject of recent judicial decisions regarding the form of transactions which are considered permissible. An SE is a European public limited company that can be created and registered in any EEA member state. In the United Kingdom, the SE regime is governed by EU Regulation 2157/2001 on the Statute for a European Company and the European Company Limited Liability Company Regulations 2004 as amended. A UK-registered SE is analogous to a UK public limited company and can be admitted to listing on a stock exchange. the transformation of an existing public limited liability company incorporated in a member state, provided that the company has had a subsidiary company governed by the law of another member state for at least two years. The formation of SEs has not yet proven popular in the United Kingdom – according to Companies House records, only 50 SEs are registered in the United Kingdom. This lack of interest is due to a number of factors, including the increased complexity of complying with a mixed European and national regime, and the potential requirement for employee participation in the SE. Unlike in some other jurisdictions in the European Union, no such participation is presently required for a UK-incorporated company. In addition, there is a lack of incentive for UK companies to pursue this route; it is possible for a UK company to operate across Europe by establishing branches in other jurisdictions, and the effect of formation of an SE by merger is largely replicated through the cross-border merger regime (discussed below) without the surviving entity needing to become an SE. However, the principal advantage of an SE is that its registered office can be transferred to another EU jurisdiction without winding up the SE or creating a new legal person. For those companies that benefit from being registered within the European Union (including airlines and financial services firms) the formation of an SE, either by transformation or merger, may prove an attractive means of creating optionality about where to redomicile before the likely completion of Brexit in 2019. For example, an SE could be created in the United Kingdom and its registered office subsequently transferred to another EU jurisdiction before Brexit. Under SE regulation, after having been registered as such for two years, an SE can convert into a public limited company under the law of the jurisdiction of its registered office. An English public limited company could therefore redomicile to Ireland, for example, and ultimately become an Irish public limited company by operation of law without winding up or creating a new legal person. However, in the financial services sphere it is expected that any transfer of registered office of an SE can trigger a requirement for a new authorisation in the transferee jurisdiction, notwithstanding any licences held by the SE in the original country of registration. A merger is a form of corporate restructuring which involves the dissolution of one or all of the companies concerned in order to leave one surviving entity. For the purposes of the EU regime, a cross-border merger requires the participation of at least two companies incorporated in different EEA member states. In the United Kingdom, cross-border mergers are governed by the Companies (Cross-Border Mergers) Regulations 2007 (as amended), which implement the EU Directive on Cross-Border Mergers of Limited Liability Companies (2005/56/EC). Since the introduction of the Companies (Cross-Border Mergers) Regulations, UK companies have mostly used the cross-border merger regime to implement intragroup reorganisations, although there have been several arm’s-length transactions involving cross-border mergers. The cross-border merger regime could provide another avenue for UK companies wanting to redomicile to the European Union. In the financial services space, to the extent that a merging EU company holds a regulatory permission, it may be possible to structure the cross-border merger so that the EU licensed institution is the surviving merged entity, hence avoiding the need to obtain a new regulatory licence for that entity (although to the extent the merged entity will carry on regulated activities in a jurisdiction that it did not before the merger, such as the United Kingdom, it may need to apply for additional licences or permissions). While both the SE and cross-border merger regimes could provide helpful tools for a group looking to redomicile entities to other parts of Europe in the context of Brexit, both have been the subject of recent judicial decisions in the English courts delineating the limits of transactions that can be carried out pursuant to the regimes. In particular, in Easynet Global Services Limited, the High Court refused to approve a cross-border merger involving 22 UK incorporated companies in a group and one dormant, non-trading Dutch company without appreciable assets (Dutchco). The court was of the view that the participation of Dutchco had a trivial impact on the proposed transaction which, in substance, was a domestic reorganisation, and the only purpose of Dutchco was to bring the reorganisation of the English companies within the scope of the Companies (Cross-Border Mergers) Regulations. Accordingly, despite the participation of companies incorporated in different EEA member states, the proposed transaction lacked a sufficient cross-border element for the court to approve the merger. Consequently, there is some uncertainty as to the availability of the Companies (Cross-Border Mergers) Regulations as a means of completing a group reorganisation where the only cross-border element is satisfied by the participation of a newly incorporated or dormant company. In the subsequent case of Portman Insurance Plc, a merger was proposed pursuant to the SE regulation whereby an English company would merge with its wholly owned, dormant, non-trading French subsidiary (Portman SA) to form an SE. The proposed merger and formation of an SE was one step in the wider reorganisation of the AXA Insurance Group, with the purpose of rationalising its European group structure. In delivering an initial judgment regarding compliance with the requisite formalities by Portman, the High Court considered itself bound to follow Easynet where applicable. However, it concluded that the participation of Portman SA was not a device as the company had a genuine role in forming the SE, which was taking place as part of the wider reorganisation. Accordingly, if an English company could not be transformed into an SE because it did not have a subsidiary company governed by the law of another member state for the requisite two-year period, it may be possible for that company to participate in a merger under the SE regulation with an existing dormant, non-trading company elsewhere in the group or a newly formed company, provided that the involvement of that company is not purely a device to bring the transaction within scope of the regime. The High Court is expected to provide a final ruling on whether to approve the merger and formation of an SE in the coming weeks, which may also provide further detail on these considerations and therefore the extent to which the regime may be available in the context of the Brexit timetable. 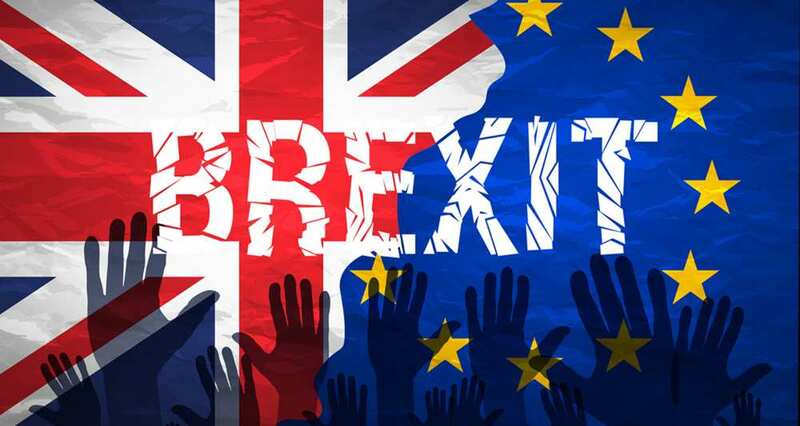 In the context of Brexit, it is expected that the argument that the involvement of a dormant or newly formed company was not such a device would hinge on the role of that company, and the new SE, in the broader restructuring or reorganisation of the group. For further information on this topic please contact Simon J Little at Davis Polk & Wardwell London LLP by telephone (+44 20 7418 1300) or email (michael.sholem@davispolk.com or simon.little@davispolk.com). The Davis Polk & Wardwell website can be accessed at www.davispolk.com. 1) Re Easynet Global Services Limited, 2016 EWHC 2681. 2) Re Portman Insurance Plc, 2016 EWHC 2994.